Charitable auctions have stood the test of time as a great way to leverage donations for the benefit of nonprofit charities. Increasing in popularity and making it easier for people to bid from their homes and over an extended period of time. 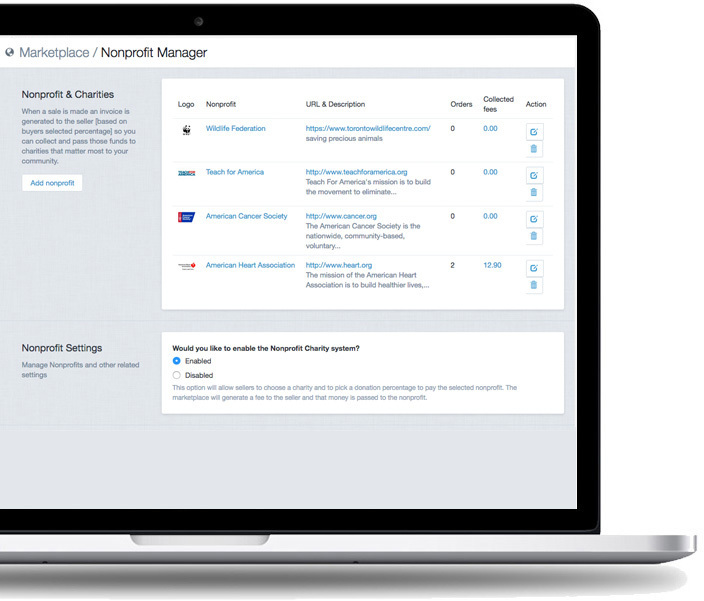 Set up custom charities and let sellers assign a % fee which is then passed along to the charity when one or more items are sold. After a successful sale, an invoice is generated to the seller and the fees are then collected and funds are passed to charities of the sellers choice when listing the items.